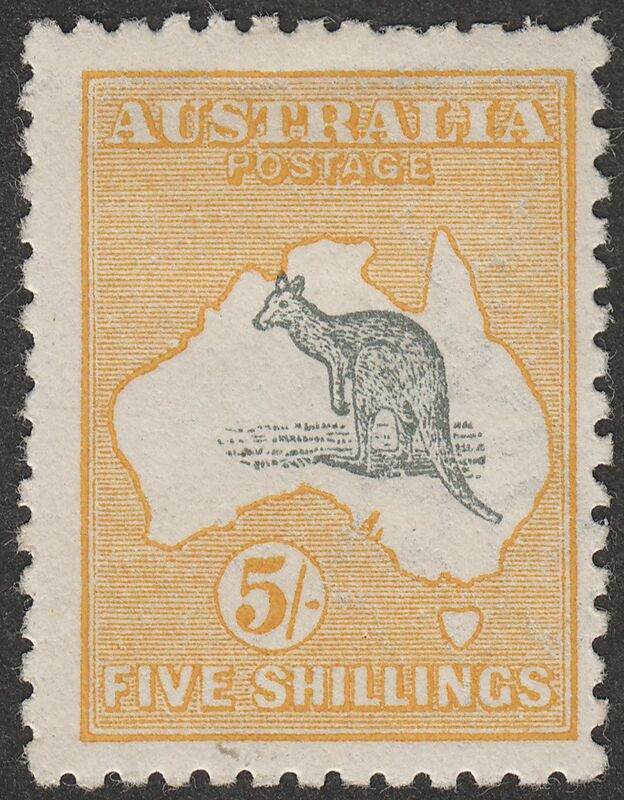 King George V second watermark Pointed Crown Inverted Kangaroo 5sh grey and yellow mint. With variety Short Spencer's Gulf. Small surface mark in bottom margin and a few short perfs top right. Watermark margin line at top. 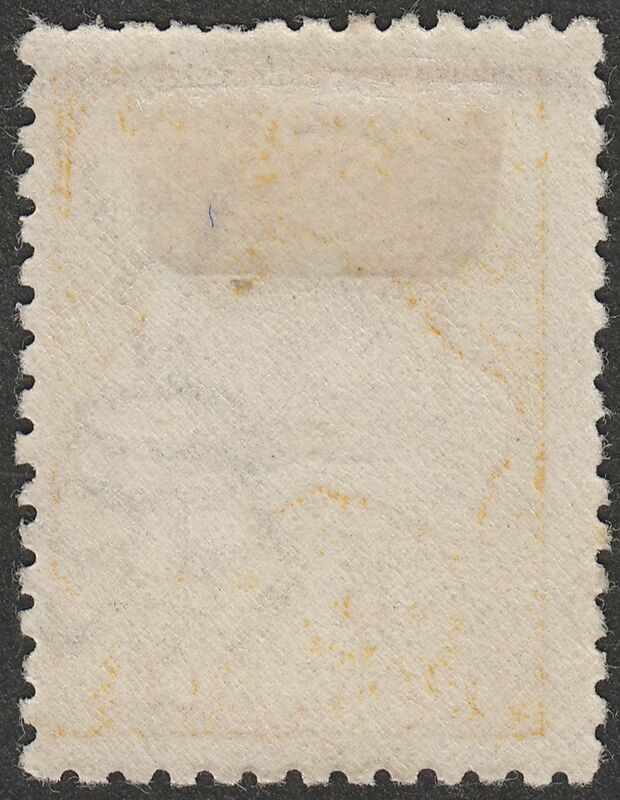 Mounted mint with hinge remnant.